Students in Dr. William Rice’s Marketing Strategies 188 class at Fresno State attempting to break Guinness World Records this semester are on a roll. All four of the projects attempted thus far have reached their stated goals and claims will be sent to London for the 4-6 week verification process. 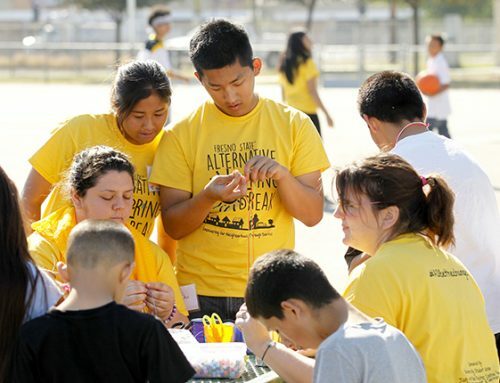 The fifth and final team going for a world record will attempt to make it a “sweep” 1 p.m. Wednesday, Dec. 12, at Fresno State’s O’Neill Park (Barstow and Woodrow). 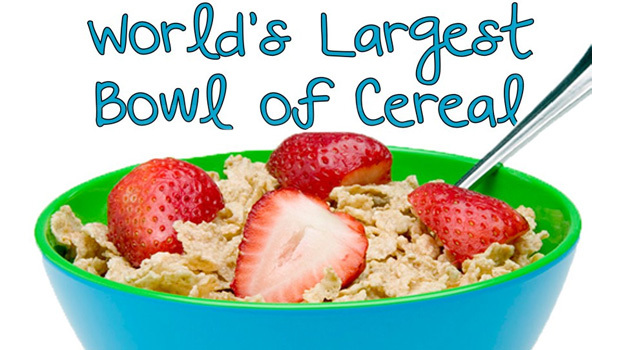 These students aim to make the World’s Largest Bowl of Cereal at 3,000 pounds. The team will attempt to break the current record of 2,200 pounds set by Kellogg’s South Africa in Johannesburg in 2007. The Fresno State students have garnered some big local support; the Rosa Brothers Milk Company of Hanford donated 120 gallons of milk, Sun-Maid Growers of Kingsburg donated the cereal, Penny Newman of Hanford donated rolled oats and LSI Scales of Fresno will provide the scale to accurately measure the cereal. Once the attempt is complete the team will give the cereal to the Fresno State Animal Science Department in the Jordan College of Agriculture Sciences and Technology as feed for the cows on the campus farm after draining and disposing of the milk. Team member Ariel de Jong worked closely with Lisa Kao, director of the university’s Environmental Health and Safety, Risk Management Office at Fresno State to ensure health codes were observed. According to de Jong, the milk donated by Rosa Brothers is past its expiration date and not allowed for human consumption. Had the milk not been donated it would have been disposed of this week. The marketing students also consulted with Dr. Jon Robison, Animal Science professor who runs the dairy where the cows will be fed the product, and Mike Mosinski, interim director of Ag Operations and manager of the university farm. A canned food drive will be held in concert with the project. Students hope to collect 3,000 cans or non-perishable foods. A collection box is available in the Peters Business Building on campus. 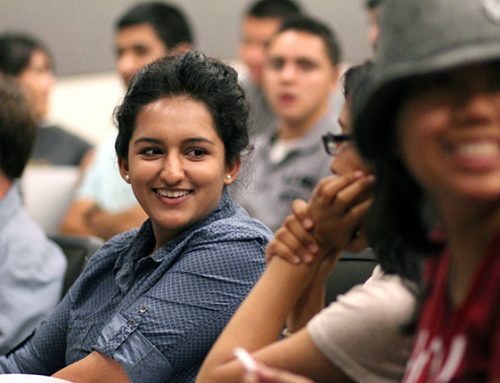 The Guinness World Records attempts by students in Rice’s classes have become a Fresno State tradition every semester. Rice said this campaign may provide a first: if the cereal team succeeds in reaching its goal it will be the first time multiple teams in one semester have all reached their respective goals. The successful attempts are not official world records until Guinness verifies formal claims. The students are required to provide evidence such as logs, official witness statements and photos/videos to Guinness. Since the final verification comes long after the semester ends, Rice grades the students on accomplishing stated goals and executing business practices for a successful marketing campaign using real world experiences. a 500-pound chocolate mousse completed Nov. 30 at the Fresno Rescue Mission in downtown Fresno, surpassing the standing world record of 313 pounds set in France in 2010.
the biggest cup of lemonade attempted on Dec. 1 at the Children’s Electric Christmas Parade in Clovis. That team prepared 1,620 gallons to surpass the previous record of 1,461 gallons set near Beirut, Lebanon in July. the largest serving of salsa completed Dec. 7 at P&R Farms in Clovis, weighing in at 3,626 pounds to “break” the record of 2,672 pounds set in Texas in 2010. For information about the cereal project, contact de Jong at arieldejong26@mail.fresnostate.edu or see the team’s Facebook page World’s Largest Bowl of Cereal. University Communications news assistants Alejandra Garcia and Samantha Gibson contributed to this copy.